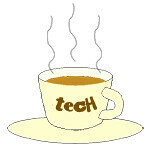 Alpha « Tech bytes for tea? The new a99 II will be available at all Sony Stores, Sony Centres and selected Sony authorised dealers in Singapore from November 2016. RRP TBA. The new a99 II is the successor to the a99 and includes Sony’s Hybrid Phase Detection AF system and A-mount features such as Translucent Mirror Technology (TMT). Sony positions the a99 II as a professional level camera appealing to sports and wildlife photographers. Key features of the Sony a99 II are listed below. • Full-frame 4D Focus: Hybrid Phase Detection AF system with accurate 79 hybrid cross AF points enabled by 79-point dedicated and 399-point focal-plane AF sensors and continuous shooting at up to 12fps. • High resolution 42.4 effective megapixels 35mm Full-frame Exmor R CMOS sensor. • Newly developed optical 5-axis in-body image stabilisation system. • Better operability and reliability in newly designed downsized body. • Internal 4K movie recording in XAVC-S format with host of pro-orientated movie features. Check out the details in the press release below. The Alpha 5100 has a 24.3-megapixel APS-C Exmor CMOS sensor and the same Fast Hybrid AF system as the Alpha 6000, as well as the same BIONZ X image processor used in the Alpha 7 series of full-frame cameras. The Singapore prices for the Alpha 5100 are up on the pre-order website. The price for the camera body and SELP1650 lens is S$999, with S$229 worth of pre-order free gifts. The Sony Alpha 5100 ships with NFC and is designed to make selfies easier. Sony has unveiled what it claims to be the world’s smallest interchangeable lens camera. The new camera will be available for pre-order from 20 August to 2 September 2014 online. It will be available in Singapore from 4 September 2014 onwards. Singapore prices have yet to be released but its US price is US$550 for camera body only and US$700 for body plus 16-50 motorised zoom lens (SELP1650). The latest and flagship store in the heart of Orchard Road in Singapore is the largest in South East Asia and features the latest innovations, gadgets and contents from the Sony group of companies. The new Sony Store in 313@somserset mall is now open to the public from today, and operates daily from 10am to 10pm. The 9,902 square feet flagship store is located at Level Two of 313@somerset mall and puts under one roof offerings from Sony Electronics, Sony Mobile, Sony Pictures, Sony Music and Sony Computer Entertainment. “The new Sony Store 313@somserset truly embodies the ‘Be Moved’ experience. At this new Sony Store, we intend to showcase a new lifestyle that only Sony can offer,” said Atsushi Endo, General Manager, Singapore Marketing Centre, Sony Electronics (Singapore). Besides being a showcase for the latest and most innovative technology Sony has to offer, from digital imaging, gaming and mobile, the store will also be used by Sony Music and Sony Pictures to host meet-and-greets with its local and international artistes and screenings of exclusive trailers and sneak peeks. With a prominent video wall mounted on its store front, customers are invited to step into the wide and open entrance of the store with the dazzling and captivating visual displays. The Sony Store at 313@somerset mall is located close to the Starbucks cafe at Level 2. Sony announced today the new Alpha 3000 and NEX-5T cameras (late September onwards), three new E-mount lenses (Sep to Dec) and availability of PlayMemories Camera Apps to more Asia Pacific countries (now). Prices TBA. New Sony Alpha 3000 with 20.1 megapixels will be available from September 2013. Sony announced today a range of digital imaging offerings for photography enthusiasts and professionals. The Alpha 3000 has a large 20.1-megapixel Exmor APS HD CMOS sensor that boosts sensitivity grabbing more light and cutting image noise even in dark interior lighting. Sony has launched its new “Alpha Lens Library” programme, which allows new and existing My Sony members, who are owners of its interchangeable lens cameras, to rent and test any lens before purchase. Users can now rent and test any Sony Alpha lens for up to 5 days before making a purchase. By paying a rental fee, registered Sony camera users can review up to 20 of Sony’s lens models and adapters for up to five calendar days (including both pick-up and return dates). Sony launched today a range of digital imaging products – 5 cameras, 3 lenses and 2 accessories. Available in Asia Pacific in March/April 2013. Prices TBA. The five cameras announced today include the Alpha 58 DSLR, NEX-3N MIL, and three compacts: Cyber-shot WX300, Cyber-shot HX300, and Cyber-shot TX30.